"It's just helping the game overall and giving other countries the ability to go, 'Hey, if the U.S. is doing this, then there's no reason we can't as well,'" Carli Lloyd told reporters on Tuesday. 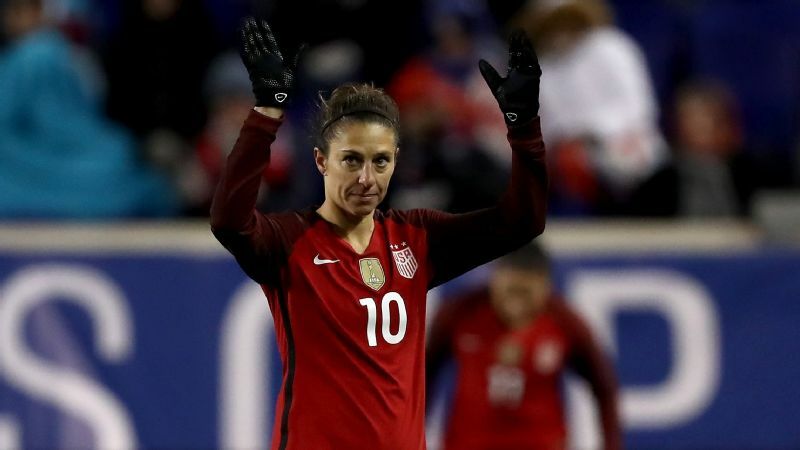 MANCHESTER, England -- United States midfielder Carli Lloyd says it's important to keep pushing for improvements in the women's game as collective bargaining agreement talks continue between U.S. Soccer and the national team. Lloyd, who is spending the first half of 2017 with Manchester City in England, is confident that a resolution will be reached. But the two-time World Player of the Year believes it's important to make strategic demands, as any eventual agreement will impact women's soccer around the world. "We've had a high standard. Our federation is very supportive of us. There aren't loads of federations who support the women's team out there, but ours does," she told reporters Tuesday, ahead of City's Women Champions quarterfinal with Danish club Fortuna Hjorring. "But it's important for us to keep pushing and making things better." The Americans, winners of the 2015 Women's World Cup, have been without a contract since Dec. 31 and have been in talks with the U.S. Soccer Federation over a new CBA and equal pay. "We're keeping everything internal right now. We're still in negotiations," Lloyd said. "Things take time with contracts. Eventually, we'll figure something out; it's just taking a lot of time right now. "There will definitely be a resolution, but both parties have to agree on some things." 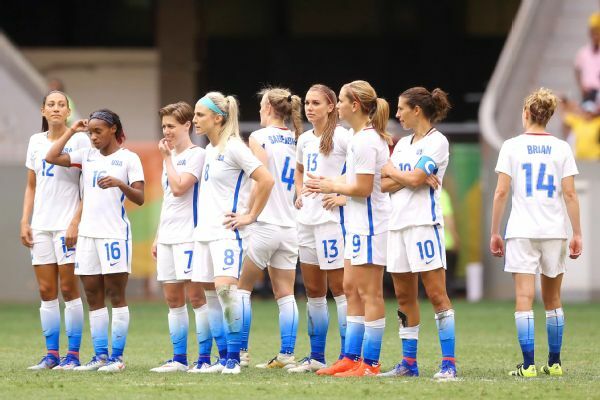 Then in March of last year, five members of the national team filed a wage-discrimination action against USSF with the Equal Employment Opportunity Commission. 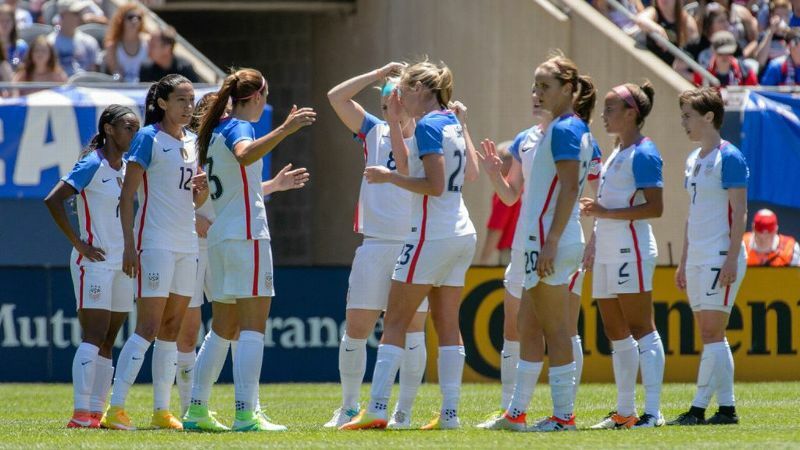 The filing cited figures from the USSF's 2015 financial report, which said that -- despite the women's team generating nearly $20 million more revenue that year than the U.S. men's team did -- the women are paid about a quarter of what the men earn. "Even though we do have tons of resources, there are still some things that we think should be better," Lloyd said Tuesday. 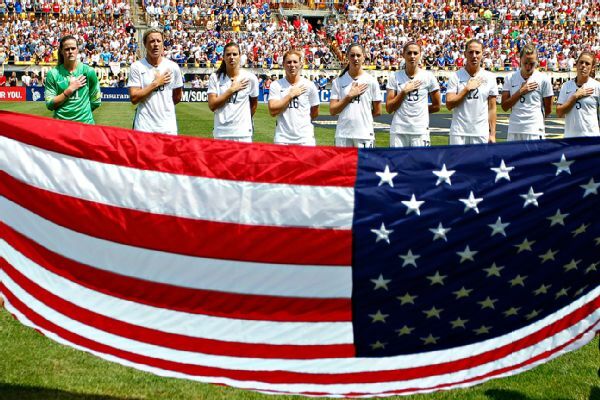 "It's really now setting the standard for women's soccer globally. It's giving countries like England and Colombia the confidence to fight for better. "It's just helping the game overall and giving other countries the ability to go, 'Hey, if the U.S. is doing this, then there's no reason we can't as well.'" There's been no decision on the EEOC complaint, and the U.S. women's national team hired interim executive director Becca Roux last month to assist with CBA negotiations. Lloyd, who has won two Olympic gold medals and a World Cup with the national team, believes there are also other areas where the women's game is lagging behind. "After the 2015 World Cup -- our 10-game victory tour -- seven out of the 10 games were on AstroTurf. Playing on the 3G, as you guys call it, when the men don't play on that at all, it starts to make you wonder," she said. "We'd just come home as World Cup champions, but playing on this surface? The men never do. We didn't play a game in Hawaii because the turf was so bad. "Winning the World Cup gave us more leverage. Our deal was up at the end of 2016 and we just need better standards. Men fly charter flights; we're still packed in with regular people. The men fly first class, we're still on coach. There's a separation there and it's just got to be better."